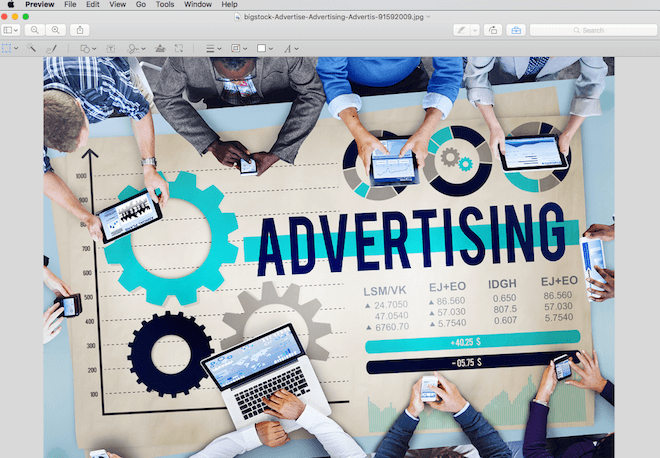 Does your marketing team need some design tools on a budget? 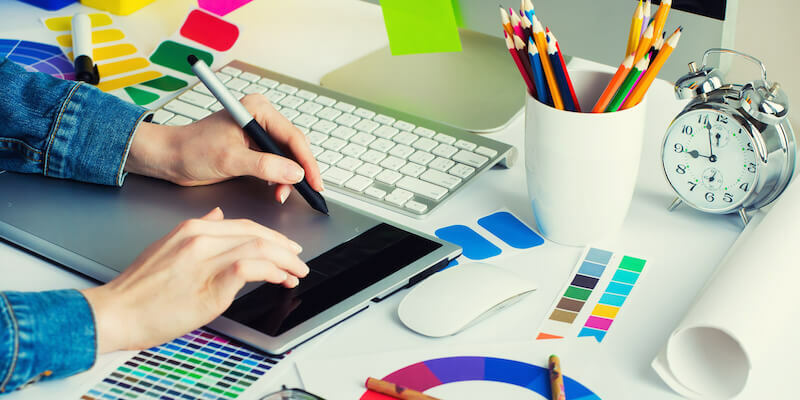 If so, then you will be pleased to know that there are some free tools out there that you can use to create or improve your visual content and designs in a multitude of ways. 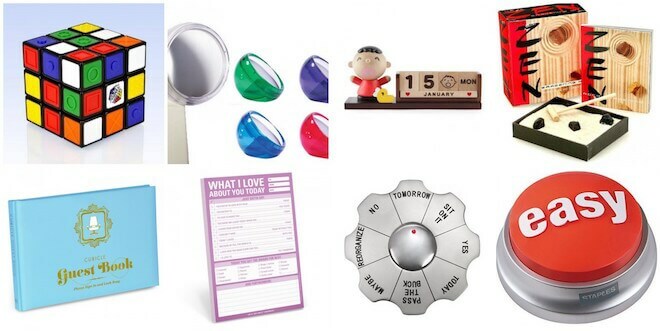 In this post, I’ll share with you some of my favorite free design tools that I use on a daily basis to create great visual content, social posts, and other designs. Ok, this one is not an online tool. 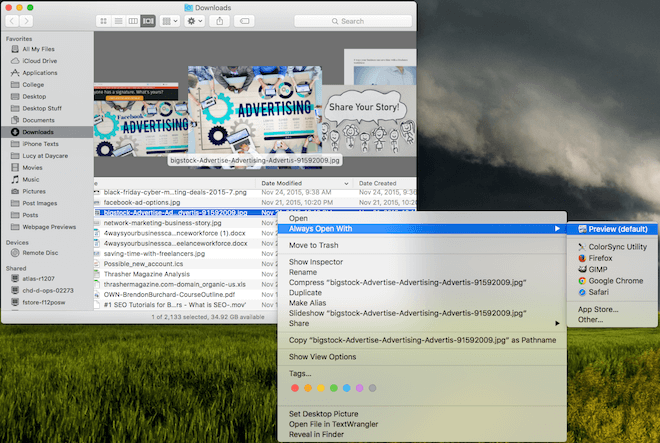 But if you are a Mac user, you already have a powerful image editor freely available on your desktop or laptop called Preview. You can access it by right clicking on an image in your Finder window and selecting Preview. When you open your image, you can do a variety of things, accessible in the Tools menu. Options include resizing your image and adjusting the image color settings (contrast, exposure, saturation, temperature, etc.). The rectangular selection tool allows you to crop the image, copy a specific part of the image to paste elsewhere, or delete an area with sensitive information. You can also use the toolbar above the image to change the selection tool shape, draw lines, draw shapes, add text, add a solid colored box or other shape over sensitive information, and much more. You can even select several images in your Finder window, right click on the group, and select Preview. This will allow you to resize several images with a maximum width or height quickly. Overall, Preview can be a handy tool for minor image editing that you can use for free without any downloads or additional software. Keep it in mind the next time you need to work on some images. With Canva, you get a powerful online image creator that lets you create a variety of image types based off of standard sized templates. When you sign up, choose the option to create images for personal use to get the free account option. 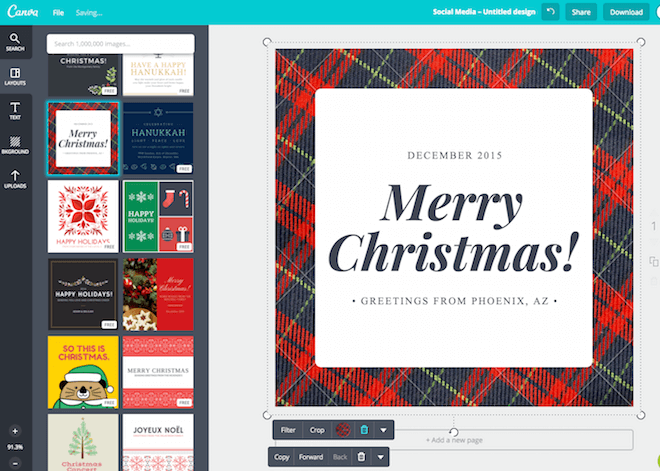 Then select from any of the Canva template designs to start creating images. For each template, you will see free and premium image options. 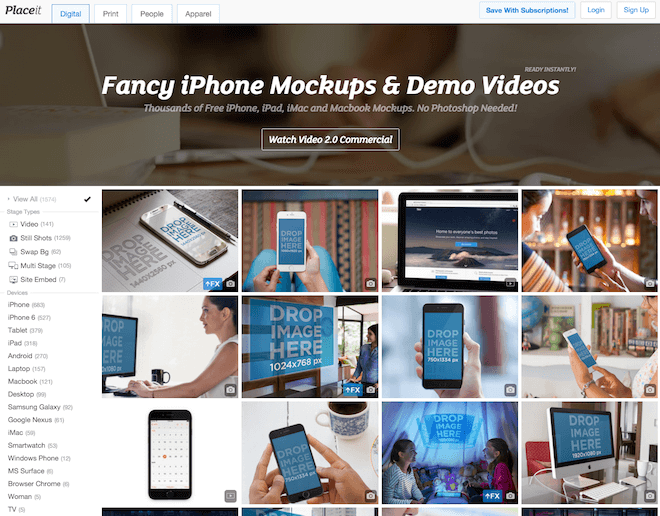 Premium images use stock images from Canva’s library. You can turn a premium image into a free one by simply deleting the background image and uploading your own, use a solid background, or pay a $1 per premium image. From here, you can edit the text, fonts, and colors as needed. You can also add new text areas, change backgrounds, and much more. This allows you to create great custom images that you can use on virtually anything – blog content, social media posts, ads, ebooks, infographics presentations, and much more! 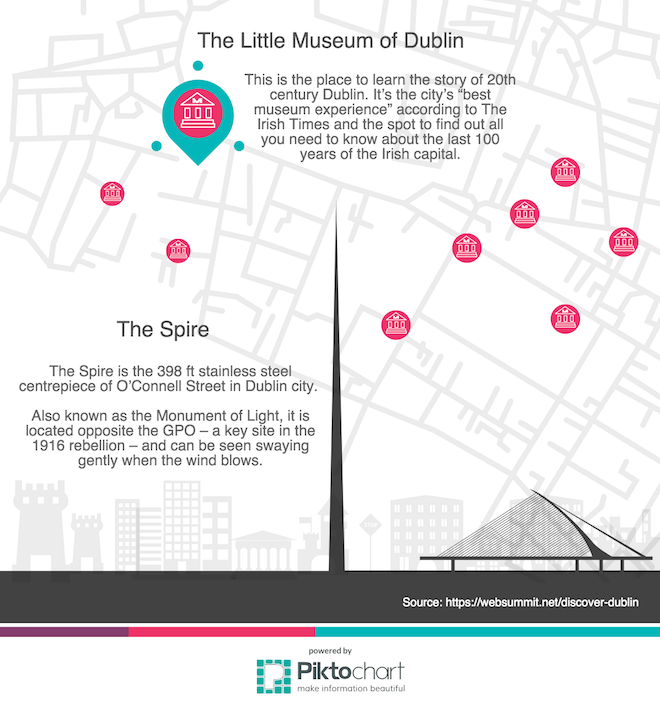 Speaking of templates, if Canva doesn’t have the template you are looking for, try Piktochart. 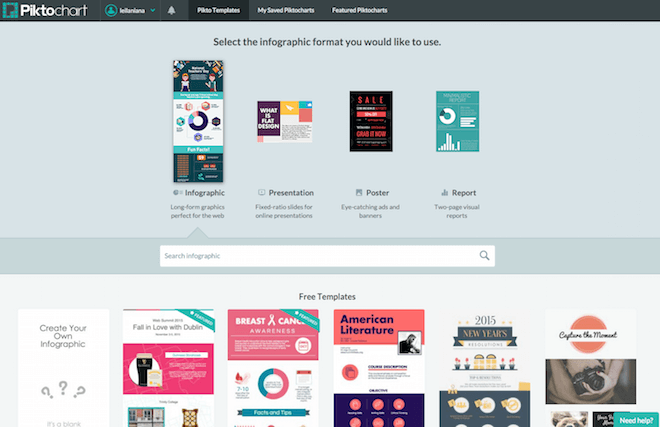 Piktochart offers a wide range of template options for free that you can use to create stunning infographics, presentations, posters, and reports for your marketing. Once you’re comfortable with their platform, you can also create your own designs using their easy-to-use editor. If you choose to work from a template, you will simply customize the text and images as needed. As a free user, you can download your images in small to medium sizes (usually up to 1200 pixels wide) with a Piktochart watermark. Unlike some watermarks, theirs is conveniently located at the bottom of the design, making it less of an issue. Do you have a product that you would love to advertise using an image of it on a screen? If so, PlaceIt is the perfect tool. It offers lots of templates that you can add your product image to and showcase it on a desktop monitor, tablet, smartphone, or other type of screen. The only downside is that the free images are limited to a max resolution of 400 pixels wide. If you need something larger, you can purchase each image you create individually for as little as $8 per image up to 2720 pixels wide. So while it’s not 100% free, you can do some quick work with no monthly subscription commitments. Like the screenshots you’ve seen in this post so far? I use two free tools to capture screenshots. The first is Jing. 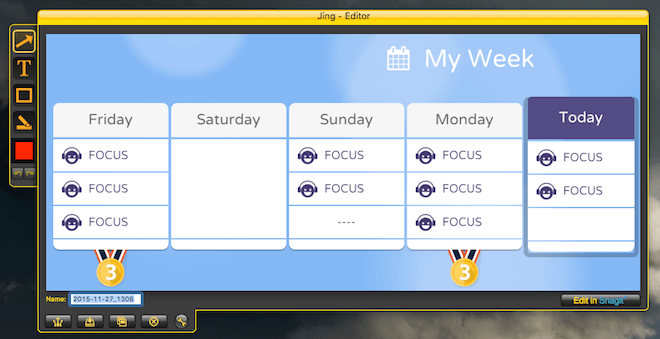 Jing allows you to capture a selection of your screen and save it as an image or a video up to 5 minutes in length. In addition to capturing the screenshot, you can annotate it using arrows, text, boxes, and highlights. It’s perfect for creating useful images for tutorials or pointing out errors when sending images to support for another application or tool you are using, online or offline. The second tool I use for screenshots is Fireshot. This extension for Google Chrome or Firefox will allow you to capture selections or entire web pages you are viewing in those browsers. You can use it for creating useful images for your content or for saving web pages for reference. For example, I like to use it to save complete landing page designs so I can refer back to them for either design or copy inspiration. Want to create a great mosaic? If so, use Flickr + Mosaic Maker. Both are free, and both will allow you to easily create mosaic images. 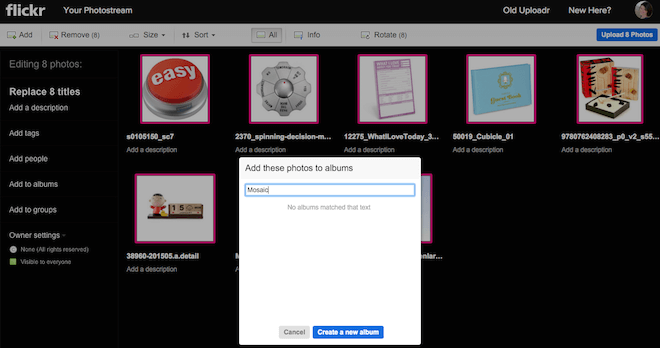 Start by uploading the images you want in your mosaic and adding them to a specific album on Flickr. Once your images are uploaded, copy the link to your album from your browser’s address bar. Then visit Mosaic Maker to configure your mosaic and tell it to pull the images from your album. The result? 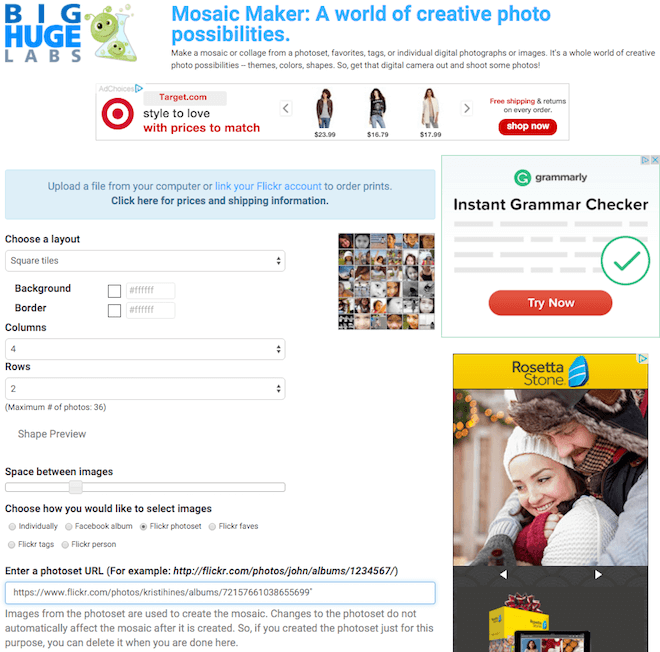 All of your images in one mosaic! 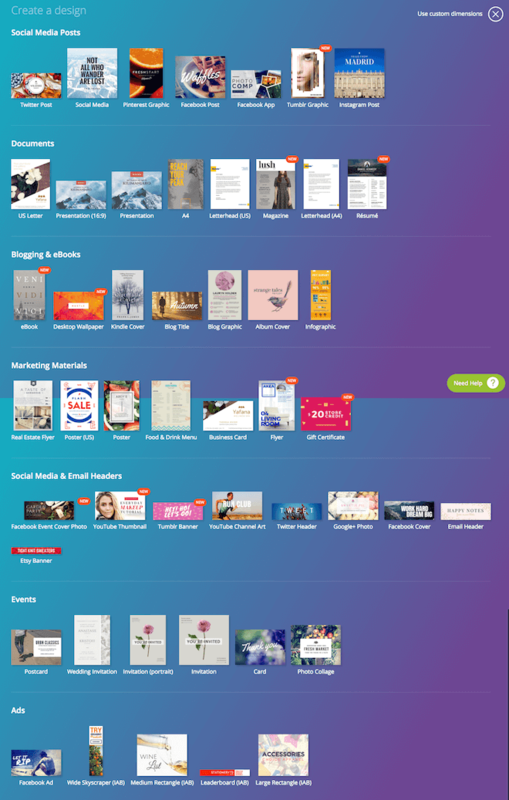 If your marketing team is looking for new ways to create new designs at an affordable price, be sure to try the above free tools. They will keep your visual content library stocked with the best designs possible!